We have missed the revolution on internet back in 1998, and now internet is everything in 2018. Mostly all the peoples are connected to the internet via their system or SmartPhones. Just think you bought few shares of Google when the internet was in the revolutionary phase it was few dollars, and now the shares is traded around $1250. Do you also want to miss an opportunity for cryptocurrency revolution? I thing nobody want to miss that opportunity. The king of the cryptocurrency is Bitcoin it was few cent in 2009 and hit $20,000 in end of the year 2017. Before investing in Bitcoin I suggest you to read the basic things about Bitcoin. 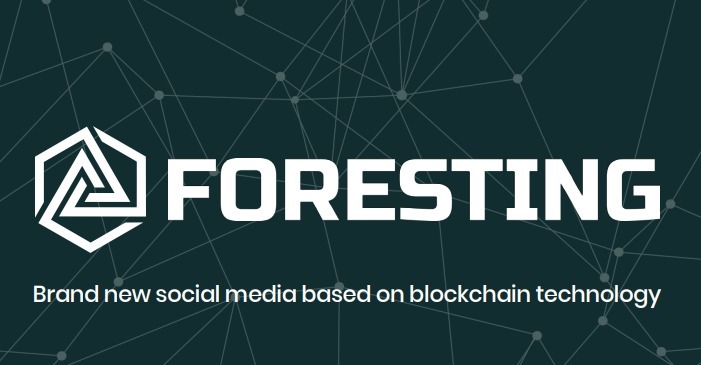 Foresting Social Media Network Based on Blockchain Technology! Get Rewards!! Do you use social media to share your favorite things with your family, friends or audience? The majority of people say yes! I am also active on social media sites like Facebook, Twitter and LinkedIn. Do you know the hidden part of such social media networks? Let discuss about it. If you go through the front page of Facebook, you will see a phrase "It's free and always will be". Do you understand it? Doesn't Facebook take anything from you to give you their service for free? If Facebook doesn't let anything from you and give you free service then that's all correct the phrase "It's free and always will be". The truth is different from it. 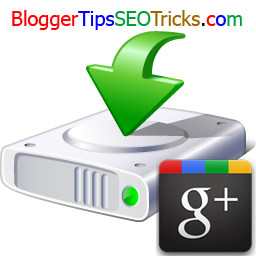 You like and share posts, update status updates and edit about yourself with email addresses and phone numbers etc. All the data has captured by Facebook, all your activities has captured by Facebook even, if you allow Facebook app for GPS, they can track your current location in this planet, called World. All things have been capturing by Facebook. Do you still think it is free to use Facebook? Actually, you have sell everything to them! Your father doesn't know your current location in any specific time, but Facebook actually knows!!!! Because of you! You are believing Facebook is free and the most funny thing is even you think that it will always be free. No, a big NO!! "It was free but now it's not, you will get paid". Why Credits (CS) Can Be the Best Blockchain Platform? Hello friends, welcome again to this blog. This blog has added a new category called CryptoCurrency, and as an editor, now I have an opportunity to share our experience of CryptoCurrencies with all of you. If we talk about CryptoCurrencies then the first name that triggered in the mind is Bitcoin. Bitcoin is a cryptocurrency, a form of electronic cash. It is a decentralized digital currency without a central bank or single administrator. 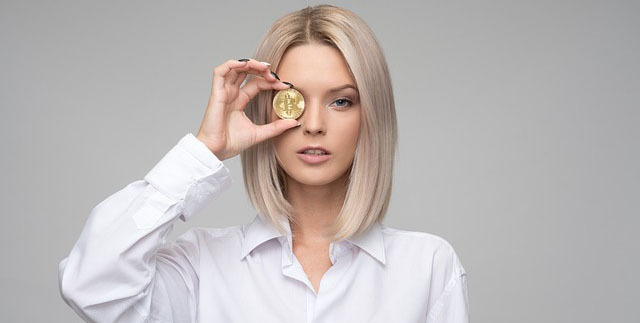 If you want to know more about Bitcoin, I suggest you to read the previous post, the basic things to know about Bitcoin. In short, Bitcoin price was $2 in 2011, and now it is currently trading over $7000 after making a high of $20000 in Dec, 2017. I am sharing this statistics because you must know the potential of the cryptocurrencies in the future despite the media and government interference. Bitcoin is based on the blockchain technology. It was very smooth when the blockchain had the low traffic and low transactions, but recently the cryptocurrency market has boomed and it has been reached up to $800 Billion market cap in December, 2017. Due to the high volatility, most of the transactions are pending or take more time to complete the transactions. The issue is not only for the transactions while the transaction fees will also be a big problem which is increasing. According to the big players of cryptocurrency market and I also agree that the cryptocurrency market cap might be crossed trillion dollars in the near future. It will definitely affect the transactions speed and the transactions cost in the future. This problem is biggest for every cryptocurrency holders. Is there any solution for it? Yes, definitely. Introducing Credits with faster blockchain with smart contract and data protocol. 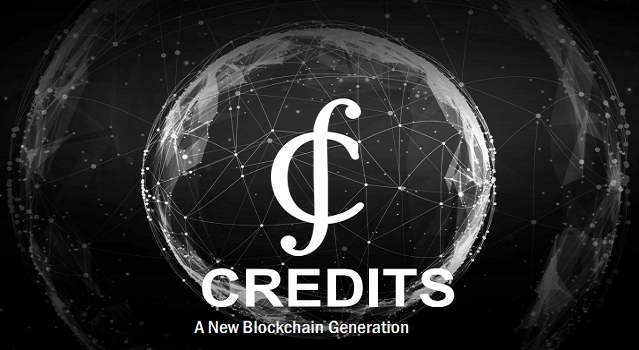 To know more about Credits please read the following post. 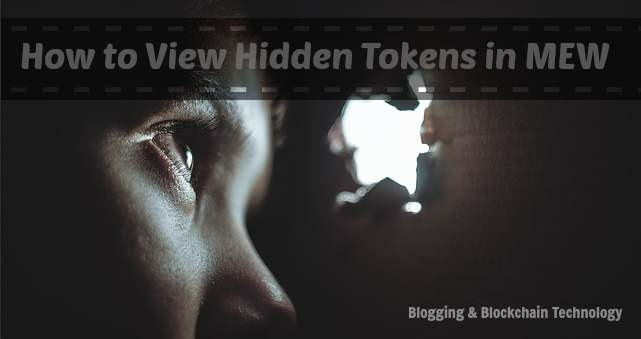 Add Hidden ERC20 Tokens to MyEtherWallet | Don't Showing Up Custom Tokens in MEW? Hello friends, I am here after a long time due to the busy schedule for other activities, but now I have decided to spend few times in my blogging. You may have heard that how blockchain technology is changing the world so we should not ignore it as we have already ignored the internet revolution, and now the whole world is on the internet. The world's first application on blockchain was Bitcoin. I know, you already heard about bitcoin, I recommend you to read this article about basic and must things to know about bitcoin. I will discuss more about blockchain technology and distributed ledger technology in the coming post as this post is not about it. Let's we get started that how to add ERC20 hidden custom token to MyEtherWallet (MEW).